The fashion industry loves a nostalgic turn, and right now it’s clear that the ’90s are at the front of designers’ minds. We’re seeing everything from sunglasses with small frames to straight-leg jeans, but it’s the ’90s-inspired strappy sandals popping up everywhere that have really stood out recently. And when they first started bubbling up, the shoes instantly made me think of a pair Carolyn Bessette-Kennedy was snapped wearing back in the previous decade. It’s no secret that Bessette-Kennedy cemented her spot as a ’90s fashion icon, and it goes without saying that everything she wore then, including her footwear, is now cool again. Her particular sandals—with the delicate interwoven straps—remind me a lot of Céline’s 2018 version, which has been snapped on fashion girls like Pernille Teisbaek. If you want to try the trend for yourself, there are versions from designers across the board that will have you feeling like a ’90s girl just like that. 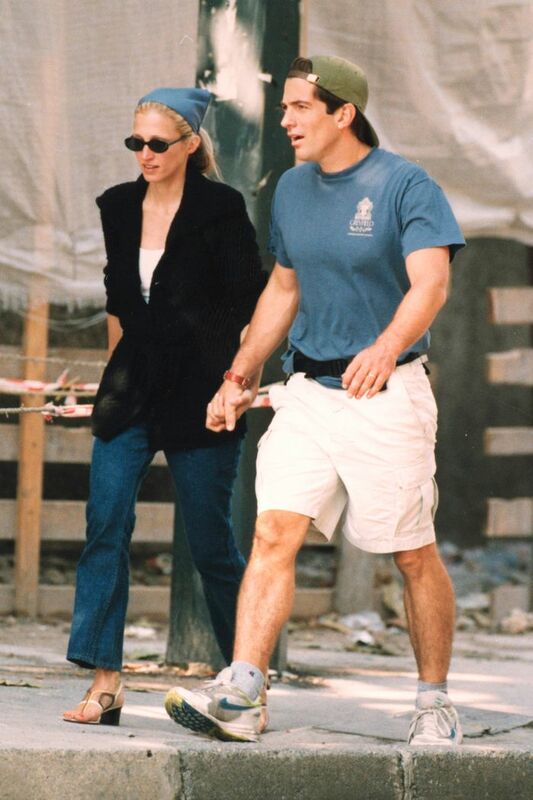 Carolyn Bessette-Kennedy’s streamlined looks epitomized cool, minimal ’90s style. Here, her strappy sandals are very similar to the styles becoming popular again now. Danish fashion girl Pernille Teisbaek was recently spotted wearing this 2018 version of the strappy sandals from Céline. Our Instagram feeds are flooded with these minimalistic sandals that could have been plucked straight from the ’90s. Available in Italian sizes 35 to 39. Available in French sizes 35 to 41. Available in sizes 37.5 to 40. If you’re inspired to see more of Carolyn Bessette-Kennedy’s signature looks from the ’90s, look no further.